Sojourner Truth was outraged, but her feelings didn’t show in a letter she wrote about her meeting with Abraham Lincoln in October 1864. She’d gone to Lincoln to call his attention to the conditions at settlements for former slaves, including one called Freedman’s Village, where she asked to be appointed as a counselor. “I was never treated with more kindness and cordiality,” she wrote to a fellow abolitionist of her meeting with the president. 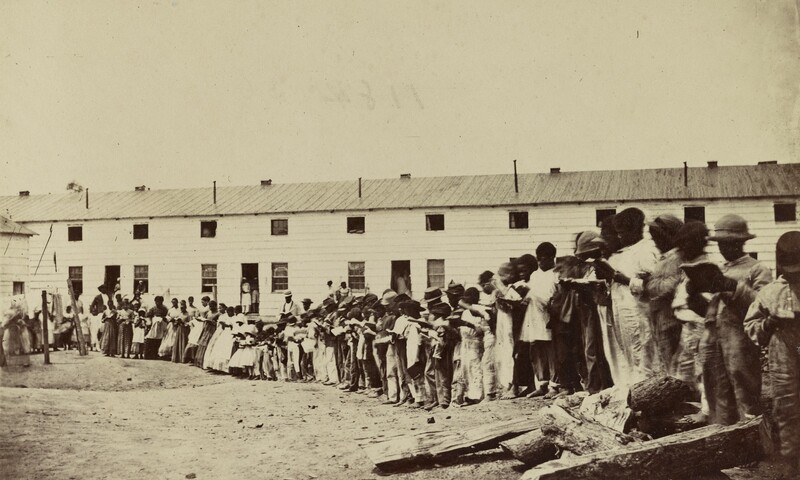 Lincoln granted her request to work at the camp, and Truth lived there for a year, preaching and otherwise advocating for the people who lived there. Freedman’s Village, which started in 1863 with 50 wooden houses, was touted as a model community when it was dedicated, with farms, a hospital, an orphanage, and a home for the elderly. By 1864, though, conditions were dismal. People were hungry, unwanted by the surrounding community, and exploited by opportunists. “I am a going around among the colored folks and find out who it is sells the clothing to them that is sent to them from the North,” Truth wrote to her daughter, deeply dismayed, shortly before her meeting with Lincoln. Read more here. It looks harmless enough, but it’s probably the dirtiest thing in your house. That’s because it comes in contact with so many surfaces. It can have mold, E. Coli and salmonella, and other things that cause allergic reactions and serious illness. 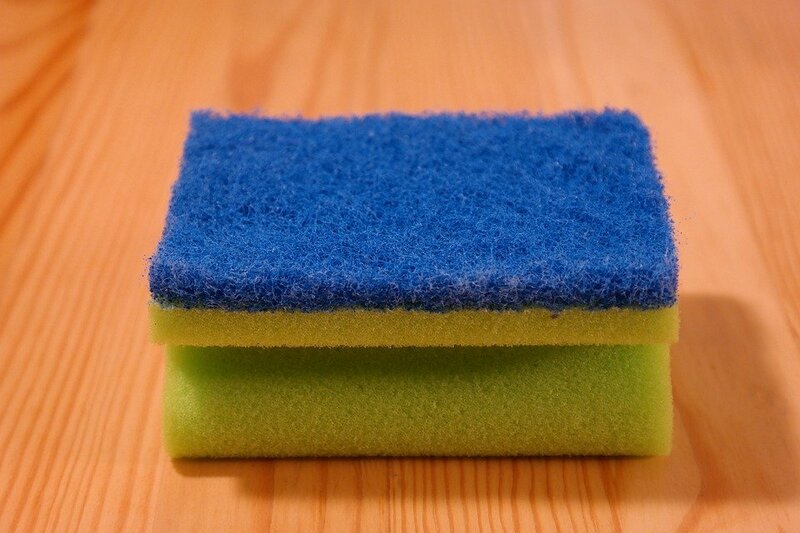 Microwave your wet kitchen sponge for 2 minutes a day and change it out every 2 weeks. Or clean it in bleach water. On February 25, 1870, Hiram Rhodes Revels became first African-American member of the United States Senate. His swearing in drew both large crowds and significant debate. Those who objected to his being sworn in claimed that Revels did not meet the constitutional requirement of having been a citizen for nine years. They claimed that blacks had only definitively gained citizenship through the passage of the 14th Amendment in 1868, and that prior to the amendment, blacks were not American citizens according to the Dred Scott case. The senators supporting Revels, however, argued that the Civil War and Reconstruction Amendments made it impossible to refer to any discriminatory ruling of an earlier era. Ultimately, the Senate voted to seat Revels by a wide margin: 48 to 8. Learn more. Learn more here and take a fun quiz here. This is, in fact, incorrect. Lent is a period of preparation in which Christians remember the life of Jesus through prayer and penance, but it is more directly related to his ministry than his death. The scriptural impetus for Lent is the forty days that Jesus spent in the wilderness after his baptism. The three earliest Gospels – Matthew, Mark, and Luke – all state that after his encounter with John the Baptist at the river Jordan, Jesus was led out into the desert by the Spirit (in the Gospel of Mark the Greek reads that Jesus was “kicked out” or “driven” into the desert by the Spirit). There he spent 40 days and night being tempted by Satan before calling the disciples in Galilee. Entering the Lenten season is always a bit of a perplexing situation. We go into Lent knowing it as a time of increased devotion, fasting and generosity – but also understanding these practices of discipleship are traits we want to hold dear in our walk of faith at all times. Throughout ministry I’ve been made aware of a variety of practices that accompany Lent. I’ve observed various forms of fasting – from meat, alcohol, candy or television; soup dinners and study sessions at churches; and special offerings to help those in need. I’ve seen churches and individuals make concerted efforts at growing in their faith. I’ve witnessed earnest prayer and actions toward restoring justice. When we make this Lenten journey together, we not only commit to 40 days of doing the right thing – loving God, neighbor and self – we put in motion the disciplines that help us embrace the fullness of Easter throughout the year. As “Easter people” we are set free to live lives of discipleship. As a “church of the resurrection” we have hope for new life, not only for ourselves, but also for the world. I recently returned from a trip visiting Global Ministries mission partners in India. It was my first trip to India and an eye-opening, horizon-expanding tour of work in which the church is engaged. This experience helps me to put this Lent into a new context, remembering that fasting is a luxury for those of us who live with plenty, increased prayer is required by those who don’t already walk by faith alone and almsgiving is the privilege of those who lack nothing. We enter Lent on Ash Wednesday, sealed with the sign of the cross using ashes that remind us of our human frailty and reliance upon Jesus Christ. We journey through Lent as a church that strives to be more fully present as the Body of Christ to those we encounter, in all we do and say. We maintain the hope in Easter and the power of the resurrection that continually calls us to envision and work toward the promised Realm of God. I pray the weeks leading to Easter are ones of spiritual blessing and enrichment, personal generosity and self-examination, and corporate prayer and actions that lead us in ways of justice. May we be Easter people at all times, open to the possibility that God is going to break out among us in new and exciting ways. Amen. Real Art Ways did a project with Faith and the artist Mel Chin back in 1991. Mel created a structure that evoked the Talcott Street Church on its original site. Here are some photos: http://melchin.org/oeuvre/ghost The choir sang in the space at the opening. It was reported on by Associated Press and National Public Radio. In Place is Personal, Deborah Goffe writes, “This issue of invisibility was aptly illustrated in Mel Chin’s public art work, Ghost, commissioned by Real Art Ways, the alternative art space, in 1991. Ghost suggested the façade of Hartford’s first black church in the exact place it was built on Talcott Street more than a century earlier, but where it had not stood for nearly 50 years. In Chin’s work that sacred ground, now an office building, was merely indicated with a wood frame, mesh, chalk outline, and stone steps. Chin imposed a gentle intervention that revealed an invisible reality, a residue from the past. As Yi-Fu Tuan suggests, it is difficult to see what we are closest to. With a little distance comes perspective, a measure of objectivity … and the risk of disconnect. Like a wide angle lens, Chin’s Ghost superimposed the past onto the present, creating just enough distance for passersby to notice what was always there.” Read more here.